What did you like about the book? 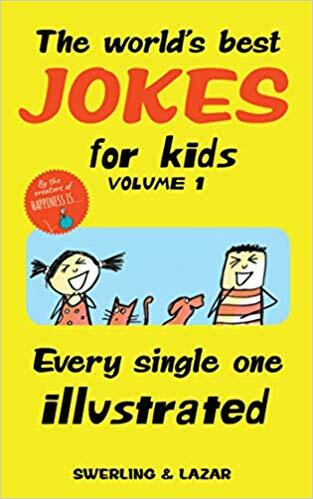 A nice collection of illustrated jokes and riddles that can be enjoyed by all. Many are familiar so you might actually be able to answer! Anything you did not like about the book. A great many of these are old jokes that many have already heard. To whom would you recommend this book? To kids who want to torment their friends – and have a good laugh! Should we (librarians) put this on the top of our “to read” piles? No. This entry was posted in Book Review and tagged Andrews McMeel Publishing. Bookmark the permalink.